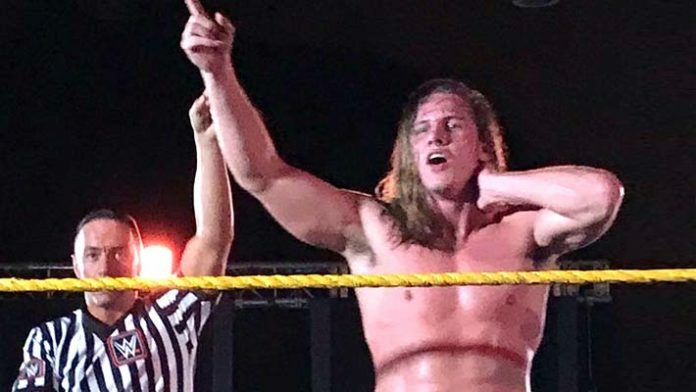 Matt Riddle made his NXT in-ring debut on Friday night in Sanford, Illinois. The King of Bros defeated Fabian Archer in what fans in attendance described as a fantastic match. After months of speculation about him joining WWE, the rumors were put to rest when he was shown ringside at NXT Takeover: Brooklyn during SummerSlam weekend. Riddle began training at the WWE Performance Center earlier this week. His first NXT program is expected to be against veteran performer Kassius Ohno. Gymnastics champion Stacey Ervin Jr. also made his debut at the #NXTSanford show. Despite an impressive showing, he lost to Kassius Ohno.